Why was this particular quake so deadly? Was it population density or the way Haitian buildings are constructed? 7.0 is classified as a major quake, but about 18 quakes in the 7.0 to 7.9 range occur per year (of course not all of those 18 quakes necessarily occur in populated areas). Still, the fatality figures coming in from Haiti seem on the high side of what usually happens when a 7.0 quake hits a populated area, unless I am mistaken. i imagine cuz of population density. [Port-au-Prince's] official population was 704,776 as of the 2003 census. it has probly grown in size in the last seven years. And that probably didn't include those living close, but outside of official city limits. Slashing red tape or ignoring ordinarily required paperwork, officials in the United States and the Netherlands have cleared the way for scores of Haitian orphans to leave their earthquake-ravaged homeland, according to officials from the two countries. All of the children had adoptions pending with prospective parents in the two countries before Tuesday's 7.0-magnitude quake, and government officials said paperwork was expedited or put on hold to make transfers happen on an emergency basis. 300 children have pending adoption cases with American families. Six children arrived in Florida Sunday night, met by their adoptive parents with hugs and tears of happiness. Slashing red tap and paperwork can only be a good thing for these kids when near any and all paperwork on Haiti's end is probably buried and unretrievable. It sounds like they are only doing this for kids who foreign adopted parents have some paperwork on their, so there is a partial trail at least that the process was started. Edited by sierraleone, 17 January 2010 - 10:27 PM. It was a mix of population density and building construction. Most of Port-au-Prince's building are either old,the result of graft, shoddily constructed or all three. Someone on the news said there is "no building code" in Haiti. I don't know if that's true (after all, I saw it on the news), but if so, that would explain the scope of the destruction. I'v read elsewhere (don't know if it is true either) that they *do* have a building code (how strong, didn't say) but due to corruption and other things, it is rarely enforced. Also, the most popular material for constructing substandard buildings there is concrete, which is much more deadly when it collapses on you than a wood and grass hut in some other region of the world would be. One of the major "code infractions" is that they build just with concrete blocks and don't use reinforcing steel rebar because it is too expensive for the impoverished nation. Edited by Cardie, 17 January 2010 - 11:31 PM. 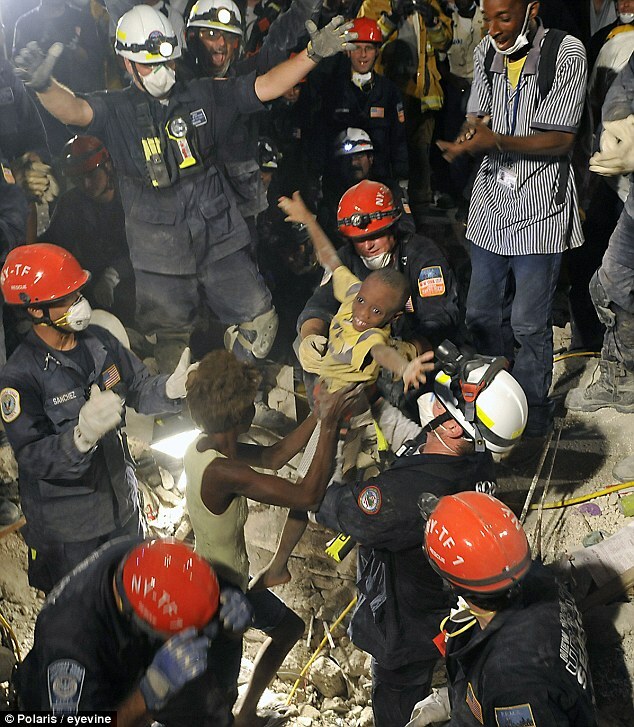 SYDNEY (AFP) � Rival Australian news crews said Monday that saving a life came before doing their jobs when they rescued an 18-month-old baby from underneath the rubble in earthquake devastated Haiti. The little girl was lying alongside the bodies of her dead parents who were killed in the 7.0 magnitude earthquake which hit Port-au-Prince on January 12 when the camera crews heard her moans and began to dig her out on Friday. Richard Moran, a cameraman with the commercial Nine Network, put down his camera and lifted pieces of concrete out of the way while Nine's interpreter and fixer Deiby Celestino climbed into the tangled mess to retrieve the child. The images of the child's rescue were captured by Nine's major rival Seven, and footage beamed around the world showed the network's correspondent Mike Amor holding the dusty little girl and giving her water. Amor said the news crews and the locals who had helped locate the girl were concentrated on rescuing the child rather than news priorities. Channel Nine's news director Mark Calvert said while disasters can sometimes bring out the very worst in journalists, they can also produce the best. "I'm proud of the Nine News team, who put the welfare of the little girl before their own safety, and placed their personal convictions before professional pressures," he said in a statement to AFP. "Yes, they put down their camera to help. But they also filed their story. And most importantly, they helped save a life." I'm listening to the Leonard Lopait Show on NPR, and the guest there said just now that it was a big mistake for Haiti's current president to admit he was homeless on CNN. The reason? According to the guest, the leader of Haiti needs to show leadership-to try and give people some semblance of hope. By admitting he was homeless and had nowhere to go, this would cause the average citizen to think, "If this is the president of Haiti, what chance do I have?" I hate to say it-but I find myself agreeing with this guest. Mr Dust, not only did the USS Carl Vinson deploy straight to Haiti, but arrived on the 15th and used its helicopters to bypass the crippled airport. The USNS Comfort, a floating hospital, requires prep time, and is expected to arrive Wednesday. Edited by Nonny, 18 January 2010 - 11:41 AM. I heard somewhere that the earthquake was very close to the surface, which caused it to have a much bigger impact. Don't know how accurate that is. The Haitian govt is claiming 200,000 dead with 70,000 bodies recovered so far. If true, that would be 1 in 4 people that lived in Port-au-Prince according to the population estimate posted in this thread. Earlier, the Red Cross was estimating the death toll at 35,000 to 50,000. Edited by Palisade, 18 January 2010 - 08:51 PM. An aftershock hit this morning a couple of hours ago; magnitude of 6. Hopefully there won't be more. I know what I'm about to say is monstrous...but it wouldn't surprise me one bit if that's EXACTLY the way some people want it. As horrific as it is for me to say it, it's ALSO a harsh truth: dead people don't complain. And as far as some are concerned, the more poor dead people, the better. Edited by Analog Kid, 21 January 2010 - 05:44 PM. And yet, this boy, he lives. Why? We don't know. He shouldn't have been saved. They shouldn't have saved him. 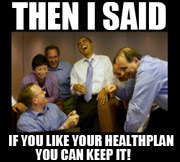 But, they did. And he lives. Not only that, but he smiled. After everything he's been through. We don't know what's ahead for him, maybe hardship and strife, as it may have been before, only now sadder, not knowing how many of his family and friends may be gone. But in that one moment, he knew. The joy of being alive. And being poor couldn't touch it. As poor as he seems. That's his sister in the yellow tank top. She was rescued too, first, and he was too scared to come out until they brought her back over to coax him out. Unbelievable they survived this long. I wonder if they had access to water in their confinement somehow. and the next day, the Haitians came back and they did not come empty handed. They had split open coconuts and handed them out to the Marines that had fed them the day before. Unbelievable they survived this long. I wonder if they had access to water in their confinement somehow. Yeah, they surely must have? Our team came back recently. They said they'd been working on the rubble-that-used-to-be-a-school, only they were a few days late because no body knew about it until then. Wtf? Who forgot about that school full of children? Surely there is a list somewhere of schools, instead they got almost no one out alive because they didn't know it was there. It just...sickens me.